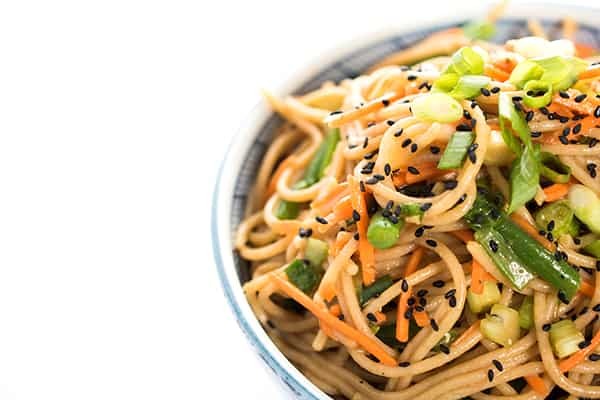 This easy and flavorful Asian-inspired soba noodle salad is perfect with any veggies you have on hand and can be served cold, warm or at room temperature. Do you love Asian food as much as I do? I grew up eating dim sum, Vietnamese food, sushi and Thai and it has forever impacted how I feed my family – for the better! 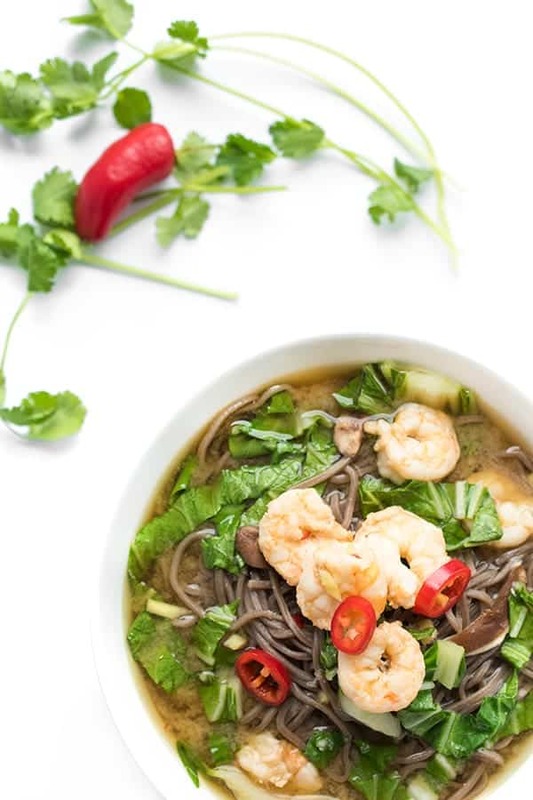 Asian ingredients such as cilantro, lime juice and Thai basil are not only full of flavor but they are naturally healthy and often low calorie which is why you see them appear on The Lemon Bowl frequently. 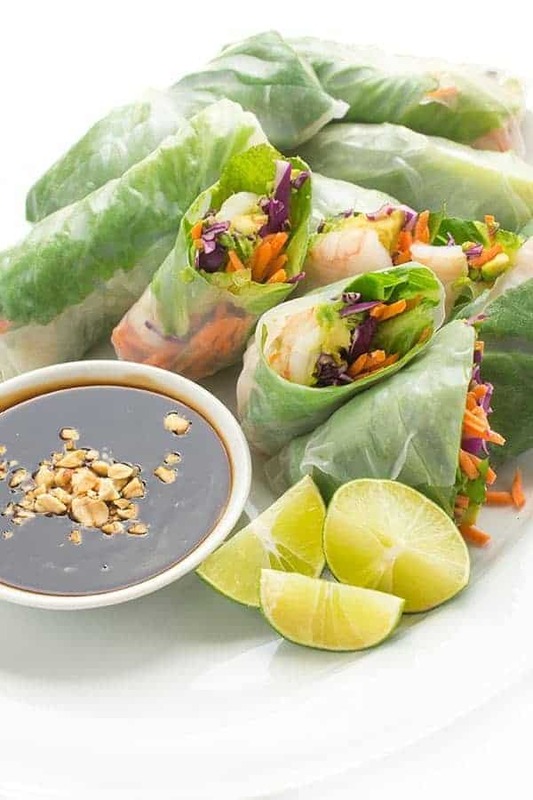 From Fresh Rolls with Shrimp and Honey Lime Slaw to Szechuan Green Beans and Ground Turkey to Shrimp Pho – Vietnamese Noodle Soup and everything in between, I would gladly eat Asian food any day of the week. 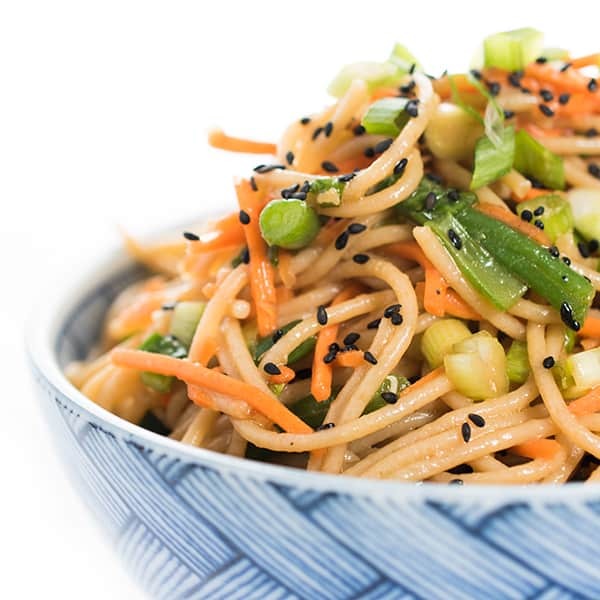 My Soba Noodle Salad with Sesame Ginger Soy Vinaigrette features three of the new summer seasonal ingredients: green beans, carrots and lime. 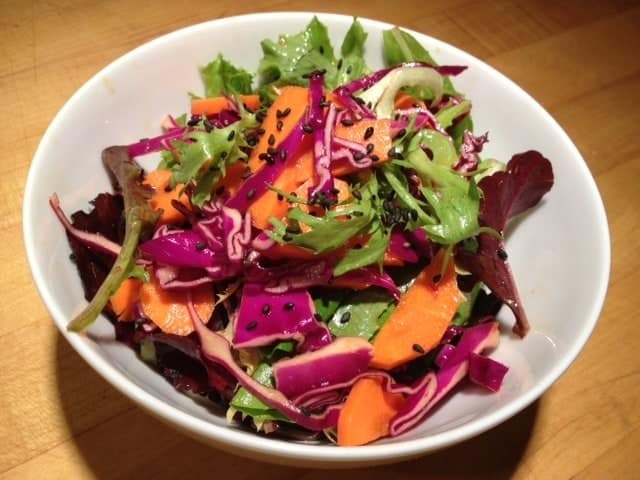 To give this salad a major flavor boost I made a vinaigrette packed with fresh ginger, sesame oil and a hint of heat from sombal oelek, a Thai chili paste. If you wish to keep the salad mild, just skip it. 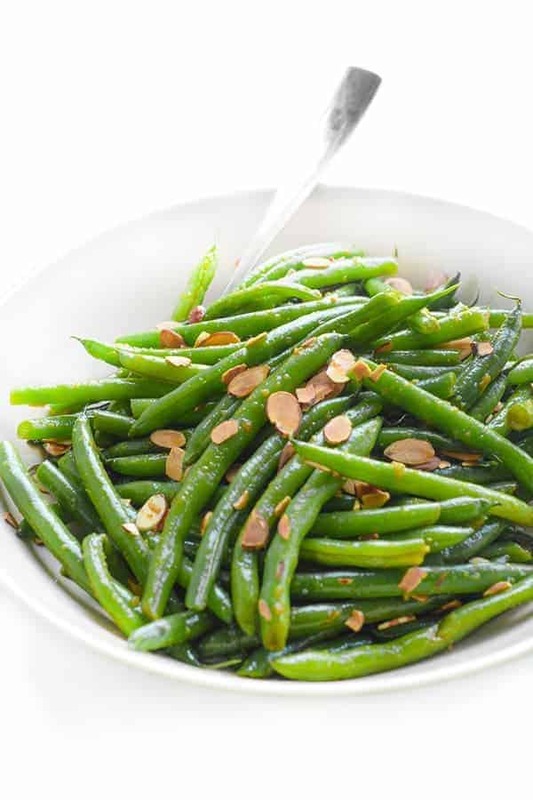 Want to use asparagus instead of green beans or red pepper slices instead of carrot? Go right ahead. Let the season (and your taste buds) guide you. Bring a large pot of salty water to boil and add soba noodles. Cook according to package instructions adding the green beans 2 minutes before the end of cooking time. 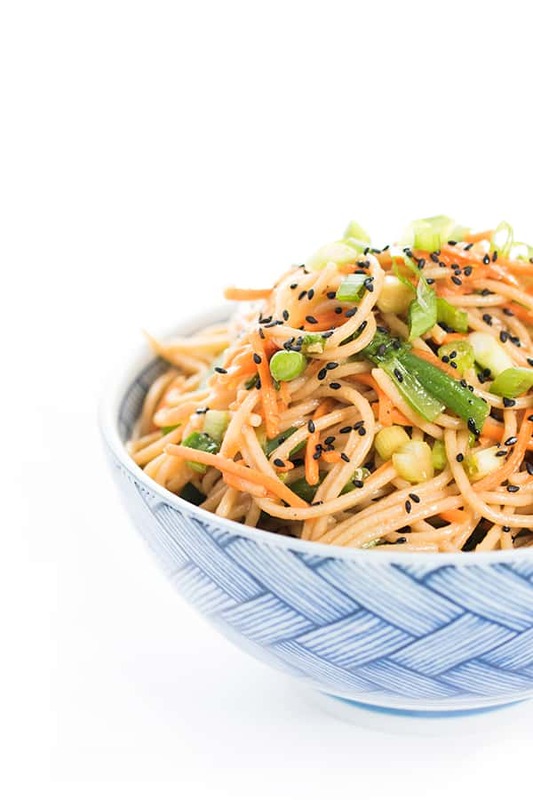 Add the soba noodles and green beans to the bowl with the vinaigrette along with the grated carrot, scallions and black roasted sesame seeds. Toss well to coat and season with salt and pepper to taste before serving. Want more delicious and flavorful Asian inspired recipes?? Head over to my Pinterest board! I love this recipe. It has become a new staple in our house. So easy. My 16 year old daughter takes it for lunch at least once a week. That makes me so happy Michele! This was AMAZING!!!! It was so fresh, refreshing, and the flavors are beautiful! I doubled the recipe and added shrimp to make it an entree for my family. Love it. Will be a regular dinner! Oh I’m so glad you made it!! You’ve inspired me to make it again soon!! Very good! Made it tonight. I used Siracha sauce and sweet peas instead and it turned out amazing! Thank you for this recipe! I will definitely make it again. Nice recipe. Thank you, Liz. I hope you enjoy Liz! Your recipe looks delish!!! I love tahini! You would love it!! It’s great with a peanut sauce too. This looks wonderful! I love Asian food- especially soba noodles (is it weird I find them totally different than plain ‘ole spaghetti?). I can’t it to try this! I totally agree – they are totally different! This looks really great! Love ginger! Me too!! I buy so much every week!! Silly/weird question: I am cooking dinner for my meat eating new beau and was thinking this soba noodle salad, fresh spring rolls, and something?! What do you recommend as the something? I don’t eat meat, but would like to have something for the carnivore – preferably something were I can either eat around the meat or make a meatless version. Any suggestions that go with the asian theme menu? Hmm…well one idea is edamame. My husband LOVES it and it’s packed with protein. Otherwise, perhaps a wonton soup with store-bought frozen dumplings? Hope that helps! It is never too hot to boil up some noodles! I grew up eating Asian take out. I love the flavors here. Such a great recipe! I can’t wait to try it myself, Elizabeth! These flavors are my FAVORITE! I love the soba noodles too, I need to cook with those more often! I know. I go in spurts but love them for cold noodle dishes in the summer months. You are too sweet – thank you Addie!! This looks so delicious, fresh and enticing, Liz! What a great summer meal! I love how easy it is, too. You’re too sweet – thanks Georgia!! I love eating cold noodle salads! This looks delicious and I am totally trying it. So do I!! Pasta is my friend! Liz, I love soba noodle salads and eat them throughout the summer. Love your dressing! 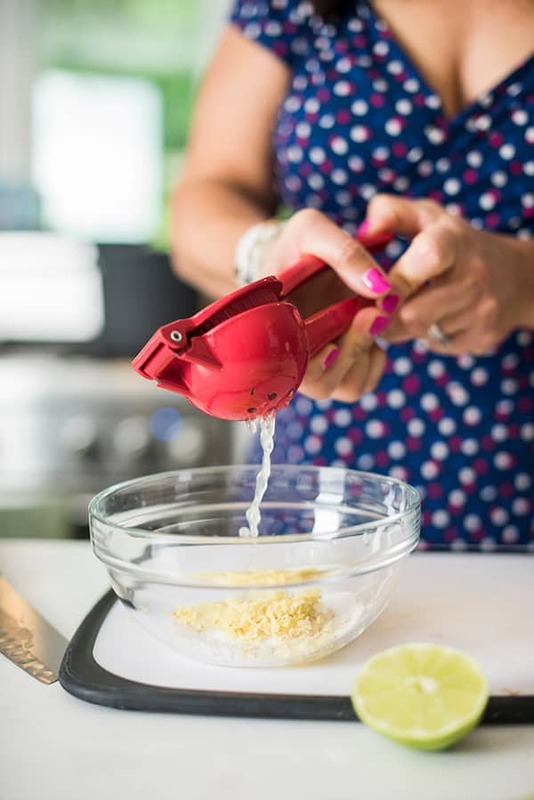 Same here – they are the perfect warm weather pasta!! 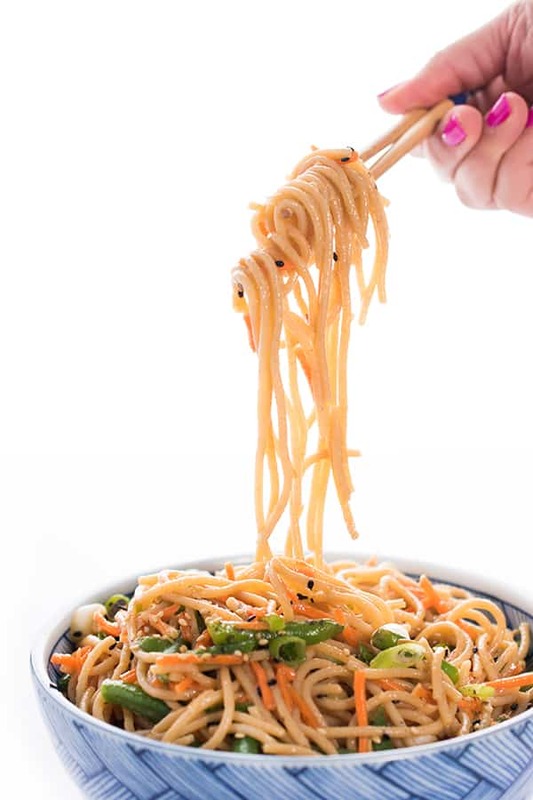 Loving how fresh these noodles look, I could go for some right now! 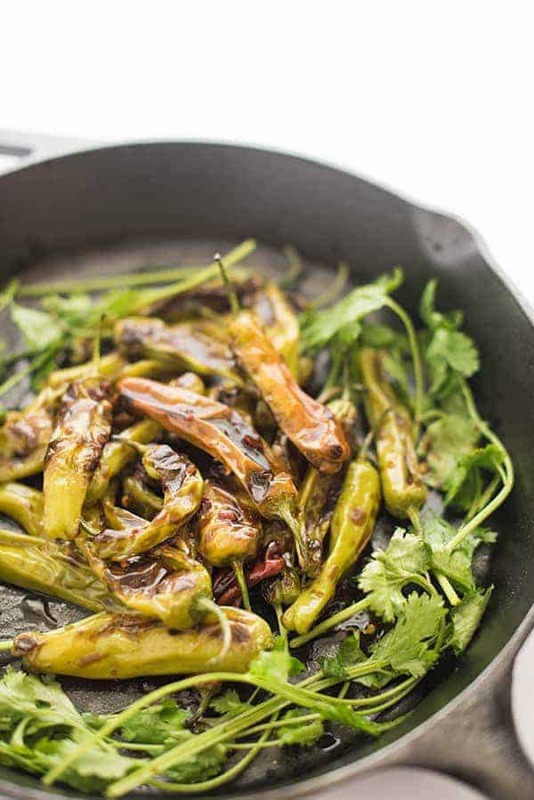 Thank you so much – they were so flavorful! I made something very similar and I love it absolutely. Adding ginger is a great idea. Ginger is one of my favorites..I add to smoothies and even fruit crisps! Enjoy! Yum yum yum, Liz! I already have a list of your recipes to try out – but I’m adding this one for sure. Oh good I hope you enjoy it Margeaux!! This salad has my name written all over it! Pass me a fork, yo! It totally does!! Extra ginger nub for you! Mmmmm…I’m lovin’ this, Liz! All those flavors in a bowl of noodles, fabulous! YUM!! I would attempt to eat this with chopsticks and after 2 seconds I’d have to trade to a fork. I can eat noodle salad like this every day!! Looks so fresh. Love it!